Navy beans or small butter beans can be substituted for the red kidney beans. Also, if you don't have the dried beans use canned beans. Butter beans are small lima beans. A southern staple in every Creole and Cajun household, this is a great recipe. I wouldn't change a thing. When visiting Creoles, the minute you walk in the door you will smell the aroma of red beans cooking on the stove. Every die hard Creole prepares this dish constantly. This coffee cake is perfect to serve for breakfast or for brunch. Sausage lovers this is definitely for you. Excellent recipe would not change a thing. I hope if you follow this recipe you have a lot of patience because it's quite extensive. I would try to find a shorter less complicated recipe. Soul Q Sauce makes this another easy Southern recipe. Excellent pork recipe. 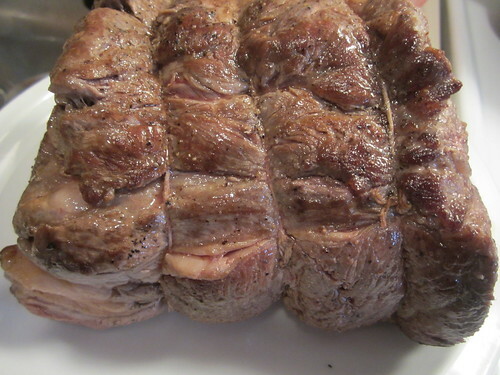 After your pork is done and you remove the meat from your Dutch oven make a roux and add the liquid from pork roast to make a gravy to be served over the meat.